Want to brush up on your birdsong? It’s an early start but definitely worth it! Join our bird expert on a walk around the farm to enjoy the wonders of the dawn chorus as the sun starts to rise on Monday 4th May 2015. Spend an evening with us learning how to make a few classic cocktails such as a Cosmopolitan and a Mojito. Then for those driving we’ll also be teaching you how to make a couple of Mocktails! Bring a group of friends and enjoy some cheeky drinks and nibbles! Also, you and your friends will have the chance to create the new Clavelshay Cocktail The best one will be used in the restaurant and the group will win a prize. Other cocktails will be on sale at the bar for you to try during the evening. A four-piece acoustic covers band playing a range of popular music from the 60's to present day. Having spent some time in the South West music scene they found that many venues were unable to find a band capable of delivering an evening's entertainment where the audience could sing along while the bar staff could still hear them speak. So they created Best Kept Secret to fill the gap. Using acoustic instruments, some hand held percussion and four-part vocal harmonies our music can be laid back and relaxed, but also have plenty of energy to keep an audience singing along all night. We are excited to have brothers Clint and Stan Rogers a join us at our regular Music Nights at Clavelshay Barn on Wednesday 30th October. Clint and Stan recreate the music of the famous Everly Brothers after establishing a tribute act to “two of their favourite musicians”. They will play a 30 minute set before a break at 8pm. They will take to the stage again at 8.30pm to play more tracks. Entry to the event will be free and people will be able to purchase drinks and a good hearty meal on the night. A touch of Riviera glamour comes to Clavelshay’s next Film and Food Night with a special screening of Hitchcock’s dazzling thriller, To Catch a Thief. It stars Cary Grant, playing ex-jewel thief John Robie (aka ‘the cat’) comfortably retired on the Cote D’Azur. However, when a spate of daring gem thefts from luxury hotels make him suspect no.1, he is forced to resurrect his feline skills, ensnare his young pretender and prove his innocence once and for all. With its sublime Cannes and Alpes Maritimes locations, suave screenplay and sizzling chemistry between its stars, Cary Grant and Grace Kelly To Catch a Thief is a movie brimming with sumptuous colour, effortless style and Hollywood glamour. And, as for its thrilling rooftop denouement, well you’ll have to see it for yourselves on the 31st January! To Catch a Thief will be preceded by two courses of delicious Mediterranean fayre; a movie quiz and introduction from MovieMail reviewer Alexander Ballinger. Awaken your tastebuds and release your inner wine connoisseur! Join us for an evening focused on an inspiring selection of carefully chosen ‘Wines for Christmas’ and local Somerset cheeses. 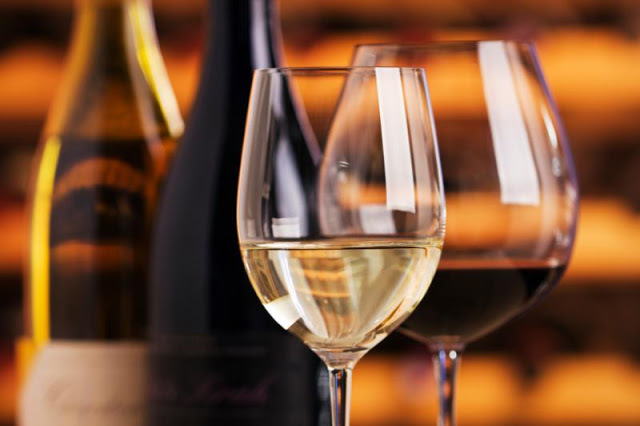 Learn about the various types of wine and grapes from key wine producing regions of the world in a relaxed and enjoyable setting. Italian Inspired Fim & Food Night! The film, The Big Night, will be accompanied with two courses of delicious Italian Fayre, Clavelshay style; a movie quiz and introduction from MovieMail reviewer Alexander Ballinger. If you would like to join us tonight, please call Sue on 01278 662629. 17 days to go until the launch of our 1st Good Food Workshop! 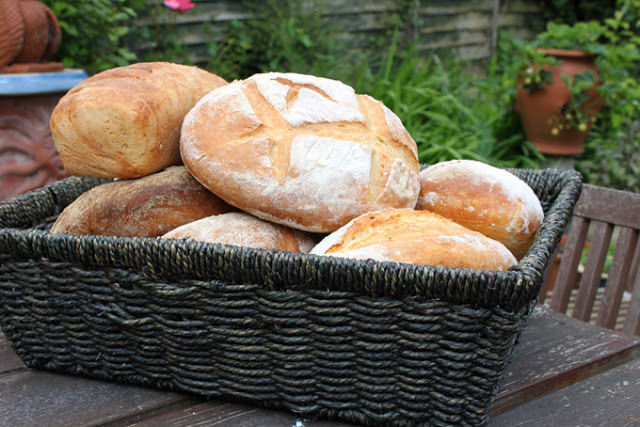 Clavelshay Barn will be hosting a Bread Making Workshop on Tuesday 18th September from 10am - 5am. This fantastic one day workshop will be taught by Roger and Sally Birt, professional artisanal bread makers and owners of the award winning Red Dog Bakery based in Devon. Roger and Sally will talk you through the bread making process, explaining each step along the way, demystifying the process thought by many to be a realm only for experienced artisans. The workshop is very hands-on and will encourage you to have fun at home experimenting with your bread. We still have a few spots left, so don't miss out, here's your chance to learn how to make the perfect loaf of bread! Sue and Guy will be serving a delicious 2 course lunch, including Sue's famous homemade bread and dishes made from fresh, local, seasonal ingredients. Call Sue on 01278 662 629 or email Nadine at events.clavelshaybarn@gmail.com to reserve your spot. Check out the photos of the bread making workshop Nadine attended with Roger and Sally here and go to our website to download the information pdf here.